Deposed Egyptian president Mohamed Morsi is being detained in conditions that fail to meet international standards and could lead to his premature death, according to a report. 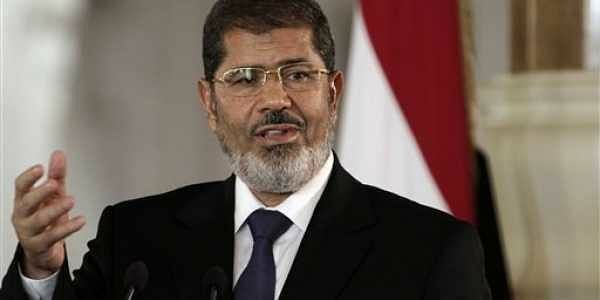 LONDON: Deposed Egyptian president Mohamed Morsi is being detained in conditions that fail to meet international standards and could lead to his premature death, according to a report released Wednesday by three British lawmakers. Morsi, who has a history of ill-health including diabetes, liver and kidney disease, is not receiving the adequate medical care required, the Members of Parliament found. That could be classified as torture by the UN special rapporteur on torture and other cruel, inhuman or degrading treatment or punishment, the panel noted. "Our conclusions are stark," said panel chair Crispin Blunt MP, presenting the findings in London. "On his health, the denial of basic medical treatment to which he is entitled could lead to his premature death. "The whole overseeing chain of command up to the current President would have responsibility for this." The panel requested to visit Morsi in prison to review detention and health conditions but said it received no response from Egyptian authorities. The report was compiled using "all available testimonies", including witness statements, reports by NGOs and evidence submitted independently, it added. Abdullah Morsi, Morsi's son, who told the panel he has been denied access to the deposed president along with other relatives and his legal team, was quoted as saying in the statement that their "fears and concerns have been confirmed by the findings". He called on the international community to condemn his father's treatment and "push the Egyptian Government to allow his family to visit, and for him to receive medical care". "We do not want him to die in prison," he added. Morsi was Egypt's first democratically elected civilian president following the 2011 overthrow of longtime leader Hosni Mubarak during the Arab Spring uprisings. But his year in power proved deeply divisive and he was ousted by current President Abdel Fattah al-Sisi, then the army chief, amid mass protests in 2013.